SANTA BARBARA & VENTURA, Calif. – The Honorable Julia Brownley, member of the United States House of Representatives, will receive an honorary Doctor of Law degree and address The Santa Barbara & Ventura Colleges of Law’s (COL) graduating Class of 2019. The Commencement ceremony will take place at 10 a.m. on Saturday, March 30, 2019, at the Hilton Santa Barbara Beachfront Resort. Rep. Brownley will be honored for her more than 25 years of public service and leadership in the local community. Rep. Brownley began her career in public service in 1994 after deciding to run for the local school board as a way to advocate for a better education for her daughter, who had dyslexia, and other special-needs students. She won and was later elected to the California State Legislature in 2006. Rep. Brownley was first elected to Congress in 2012 to serve the California’s 26th District, which includes the cities of Ventura, Oxnard, Ojai, Santa Paula, Fillmore, Camarillo, Newbury Park, Moorpark, Thousand Oaks, and Westlake Village. On Capitol Hill, Rep. Brownley serves on the House Veterans’ Affairs Committee, including as Chairwoman of the Subcommittee on Health. Rep. Brownley also sits on the House Transportation and Infrastructure Committee and the Select Committee on the Climate Crisis. As commencement speaker, Rep. Brownley joins a distinguished list of local public servants invited to address a Colleges of Law graduating class. Recent keynote speakers include Calif. State Senator Hannah-Beth Jackson; the Honorable Lois Capps; Joyce Dudley, current District Attorney of Santa Barbara County; the Honorable Gregory Totten, current District Attorney of Ventura County; Judge Michele Castillo, Ventura County Superior Court and COL trustee; and Justice Steven Z. Perren of the California Court of Appeal. Rep. Brownley will join trustees, faculty, staff, family, and guests gathering on March 30, 2019, to celebrate the 45 members of COL’s Class of 2019. Representing the Santa Barbara Campus are graduates Joseph Beck, Martin Bender, Kiley Clevenger, Evelyn Cortes, Matthew Haas (Honors), Shannon Lofft, Devonnie Mann, Tyler Potter (Highest Honors), Nicolette Reeves, Keiran Schwoerke, Stephanie Sivers, Samuel Sosa, Stacy Tolkin Lowman, Joan Vignocchi, and John Weninger. Representing the Ventura Campus are graduates Karina Almaguer, Ashley Brown, Megan Cooper (Honors), Emily Dixon, Larissa Garcia, Maritza Garcia-Lopez, Laura Garibay, Valarie Grossman (Honors), Amy Gunderson, Jonathan Gunderson (Highest Honors), Kryztofr Kaine, Alessandro Manno, Eddie Martinez, Daniel Moore (High Honors), Viktoria Morgan, Bryan Murotake, Sergio Prado, Esther Reynoso, Veronica Romero, Dianne Seaberg, Rogelio Tuazon, and Rodrigo Yanez. Representing the Master of Legal Studies program are Francisco Aragon, Michael Barney, Ashley Barrios, Susan Foster, Daniel Hodorowski, Renee Paige, Tyler Thompson, and Jaclyn Zaragoza. Established in 1969, The Santa Barbara & Ventura Colleges of Law (COL) was founded to expand opportunities and broaden access to legal education. COL is dedicated to a student-centered approach that affords students of diverse backgrounds the opportunity to pursue careers in law or legal-related fields. The Colleges’ faculty advances a real-world perspective and practicality on the application of law and includes practicing attorneys, judges, public servants, and leaders in business and non-profit organizations. An accredited nonprofit institution, COL offers a Juris Doctor (J.D.) and a Master of Legal Studies (M.L.S.) program. Starting in Fall 2018, COL became the first accredited law school in California to offer a hybrid J.D. degree. COL is regionally accredited by the Western Association of Schools and Colleges Senior College and University Commission (WSCUC) and the Juris Doctor program is accredited by the Committee of Bar Examiners (CBE) of the State Bar of California. For more information, visit www.collegesoflaw.edu. For more information, contact the COL Public Affairs Coordinator Kryztofr Kaine at (805) 765-9729; [email protected]. SANTA BARBARA & VENTURA, Calif. – The Honorable Hannah-Beth Jackson, member of the California State Senate representing the 19th Senate District, will receive an honorary Doctor of Law degree and address The Santa Barbara & Ventura Colleges of Law’s (COL) graduating Class of 2018. The commencement ceremony will take place at 10 a.m. PST on Saturday, April 28, 2018, at the Fess Parker Resort in Santa Barbara. Sen. Jackson will be honored for more than 20 years of public service and leadership in the local community. A former prosecutor and practicing attorney, educator, and small business owner, Jackson was elected to the California State Senate in 2012 to represent the 19th Senate District, which includes all of Santa Barbara County and western Ventura County. From 1998 to 2004, she represented the 35th Assembly District in the State Assembly, where she worked with Democratic and Republican governors to author more than 60 bills into law. She is currently chair of the Senate Judiciary Committee and serves as a member of the Senate Committee on Natural Resources and Water, the Senate Budget and Fiscal Review Committee, the Senate Labor and Industrial Relations Committee, and the Senate Public Safety Committee. She is immediate past chair of the California Legislative Women’s Caucus. A graduate of Scripps College in Claremont, California with a joint major in government and sociology, Jackson received her law degree from Boston University Law School before returning to California to work as a deputy district attorney for Santa Barbara County. Eventually, she became the managing partner for the Law Offices of Eskin and Jackson, with offices in Ventura and Santa Barbara. As commencement speaker, Jackson joins a distinguished list of local public servants invited to address a Colleges of Law graduating class. Recent keynote speakers include the Honorable Lois Capps; Joyce Dudley, current District Attorney of Santa Barbara County; the Honorable Gregory Totten, current District Attorney of Ventura County; Judge Michele Castillo, Ventura County Superior Court; and Justice Steven Z. Perren of the California Court of Appeal. Jackson will join trustees, faculty, staff, family, and guests gathering on April 28 to celebrate the 34 members of COL’s Class of 2018. Representing the Santa Barbara Campus are graduates Dayton Aldrich, Tobias Bateson, Reanna Carrillo, Taylor Fuller, Hudson Hornick, Amber Leach, Andrew Miller, Joseph Poire, Eva Umejido, and Kevin Waddell. Candidates from the Ventura Campus are Benjamin Baumer, Dylan Beltran, Ambrosio Bigornia Jr., Arezoo Bolouhari, Mallory Clark, Katie Dimas, Anthony DiPaolo, Scott Doyle, Carla di Ruffano, Jason Goldman, Todd Pierce, Victoria Pinkosky, Luis Robert Ruano II, Zhanna Sanamyan, Chyanna Thrush, Kristine Ann Roxas Tijam, and Christina Wilson. Candidates from the Master of Legal Studies program are Andrew Cassens, Lisa Milanes, Marcus NelsonPringle, Gena Rios, Maria Sauceda, Jeanelle Warren, and Shawn Wiggins. SANTA BARBARA & VENTURA – Catherine Swysen is the newest member of The Santa Barbara & Ventura Colleges of Law (COL) Board of Trustees. A 1994 graduate of the school’s Santa Barbara campus, Swysen joins the 13-member governance body that oversees the region’s oldest and largest independent law school. Swysen comes to COL with nearly 25 years of experience as a practicing attorney—her areas of practice spanning criminal, death penalty, appellate, civil, and administrative. She is a partner with Sanger Swysen & Dunkle, a distinguished local firm—with offices in Santa Barbara and Santa Maria—that specializes in criminal defense and civil litigation in State and Federal courts. Swysen’s experience in governance includes board and leadership positions with the Santa Barbara Women’s Political Committee, the Santa Barbara County Bar Association, Santa Barbara Criminal Defense Lawyers Bar Association, and Federal Bar Association. 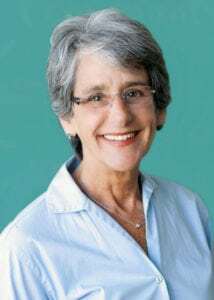 She is a recipient of the Beulah W. Engelsberg Award from the American Civil Liberties Union and was recognized by the California State Senate and the California State Assembly for Civil Liberties. Swysen was awarded the Order of the Reasonable Doubt by the Santa Barbara Criminal Defense Lawyers Association in 1999, named the “Lawyer of the Year” by the Santa Barbara Women Lawyers in 2001, and received the Richard Abbe Humanitarian Award from the Santa Barbara County Bar for her international relief work in 2009. She is the President of the Chad Relief Foundation (CRF) and has made numerous trips to the country to further relief efforts for refugees from the Central Republic of Africa and for the local population. Prior to COL, Swysen earned a degree in history from the Université Libre de Bruxelles in Belgium before immigrating to the United States in 1980s. She has lived and worked in the Santa Barbara area for over 30 years. In the Fall of 2018 The Santa Barbara & Ventura Colleges of Law (COL) will launch a first-of-its-kind hybrid J.D. degree in the state of California. Four candidates vying for Santa Barbara Mayor have been confirmed for a downtown public panel to be broadcast on Facebook Live. A 60-day comment window will be open until October 23, 2017, as the USDA considers changes to animal breeder licenses.